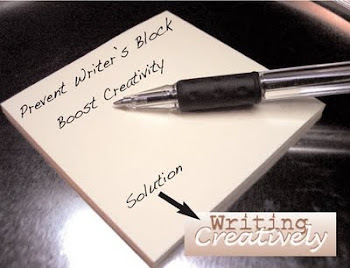 Writing Creatively: Legitimate Writing Site Pays You To Write! Did you ever find yourself mentioning something so many times, you realized you must really like it? That's how I feel about BubbleWS. 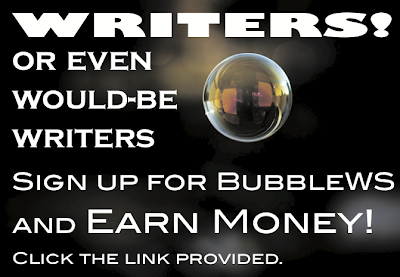 If you haven't heard of this writing site that PAYS writers to write, allow me to tell you. First here: BLOGGERS – Writing Site that PAYS YOU to Blog! And then here: Does BubbleWS Really Pay Its Writers? Yes, as you may have guessed, I sincerely enjoy writing for this site. I wish it had been around years ago. If you have ever WANTED to write, but you felt you weren't good enough, or if you have opinions you want to share and you KNOW your friends and family would read you, why not make money from BubbleWS? If you don't think you're a spectacular writer, write anyway. I've seen that more than writing skills today, passion matters. Feel passionate about what you're writing, and you'll gather followers. BubbleWS is going through some growing pains. This BubbleWS baby is kind of new. So be patient, write, and post. Then watch your bank grow! Please read the Rules and Terms of Service before you write, because if you break the rules or ignore the TOS, you will not be able to take advantage of this generous site. Want to join? Click any of the BubbleWS links in this blog! 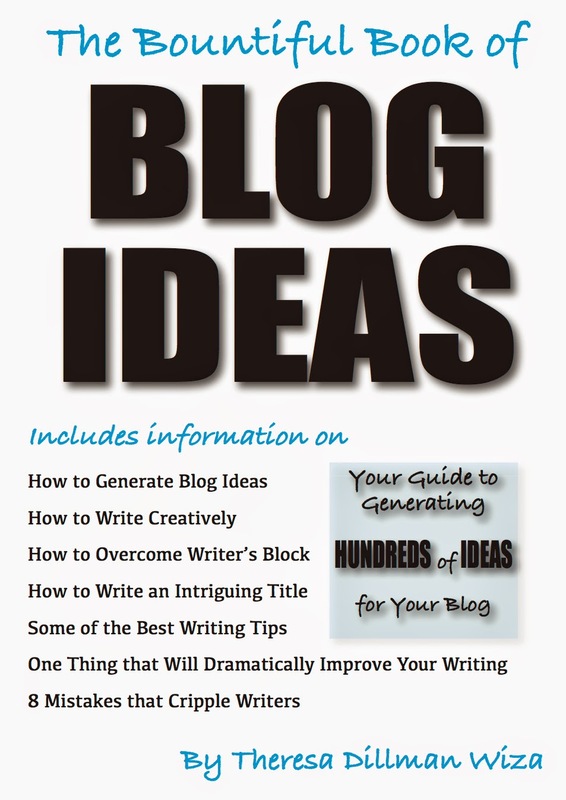 And if you would like to read more from this author, please see the sidebar or click HERE! Thank you for visiting! Thank you, AmazingUniverse! What is your name on BubbleWS?